"It's great to have a sense of humour"
George Manson, the youngest of seven children, reflects upon the happy childhood he spent, growing up in Halkirk. He recalls how the occupants of six houses in Braal Terrace, grew up like one big, happy family. George talks about serving his apprenticeship at the garage of the late Edward Sutherland and the continued respect he felt towards him, even when he left the garage to become a technician at the GPO in Thurso. 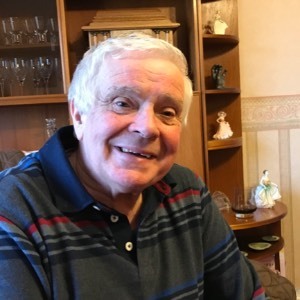 George has always been involved in community life in Halkirk and is a member of the local Reminiscence Group which is part of the Halkirk Heritage Society. George claims his sense of humour has been an asset throughout his life.